University Park, Nottingham, NG7 2RD, UK. 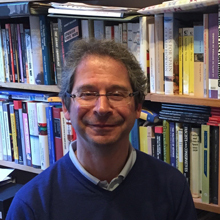 Professor Paul Heywood is author, co-author or editor of eighteen books and more than eighty journal articles and book chapters. His research focuses on political corruption, institutional design and state capacity in contemporary Europe. In 2015, Professor Heywood was appointed leader of a £3.6m British Academy/DFID Anti-Corruption Evidence programme (2015-18), designed to identify new initiatives that can help developing countries tackle the scourge of corruption and the negative impact it has on millions of people's lives. In 2018, he was appointed leader of a $7m follow-up programme, GI-ACE, based at Global Integrity, Washington DC, that will run until 2021. Other recent funded research includes an ESRC/Hong Kong project on Integrity Management in the UK, HK and China; an EU FP7 project, ANTICORRP, on anti-corruption policies; and TACOD, an EU project on tackling corruption through open data. He was the UK Local Research Correspondent on Corruption (2012-16) for the European Commission's DG Home Affairs, helping to produce the 2014 EU Anti-Corruption Report. He is an editor of CurbingCorruption.com, a recently launched initiative that focuses on sector-based approaches to tackling corruption.